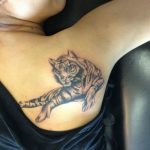 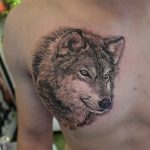 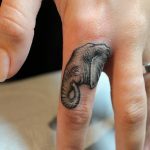 As the concept of tattoo is currently trending in the fashion world, what matters most is the tattoo designs and patterns. 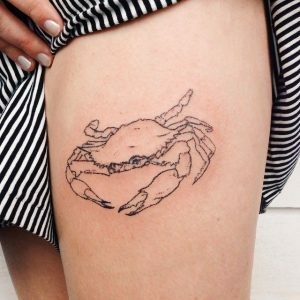 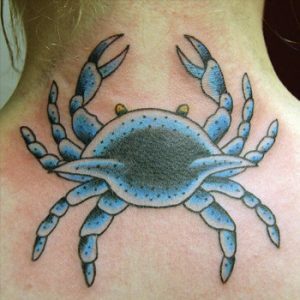 It is seen that amidst all the existing designs, crab tattoos are the ones that deserve mention because of their increasing popularity. 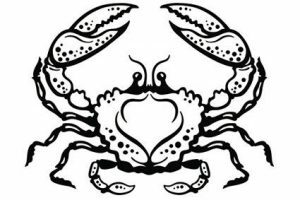 Being a symbol of zodiac constellation, the crab signifies Cancer, the fourth sun sign . 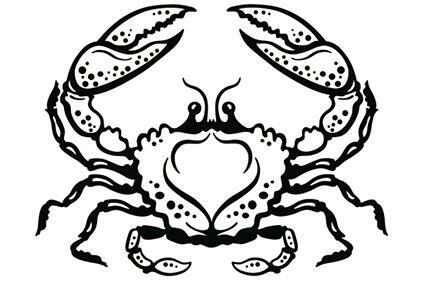 Moreover, according to the Chinese culture, it represents good luck and prosperity. 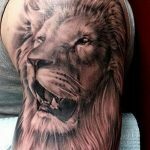 People usually prefer this design on their shoulder, wrists, and legs. 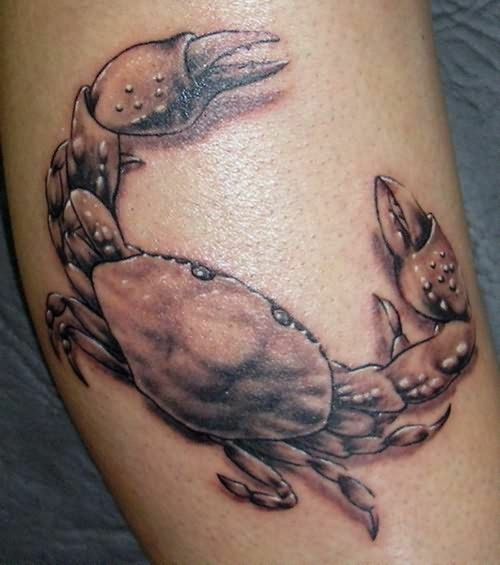 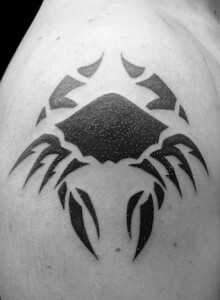 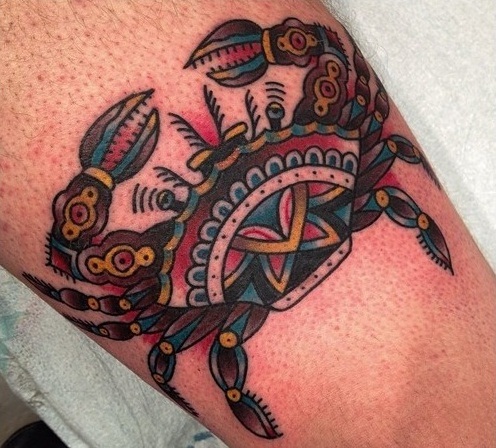 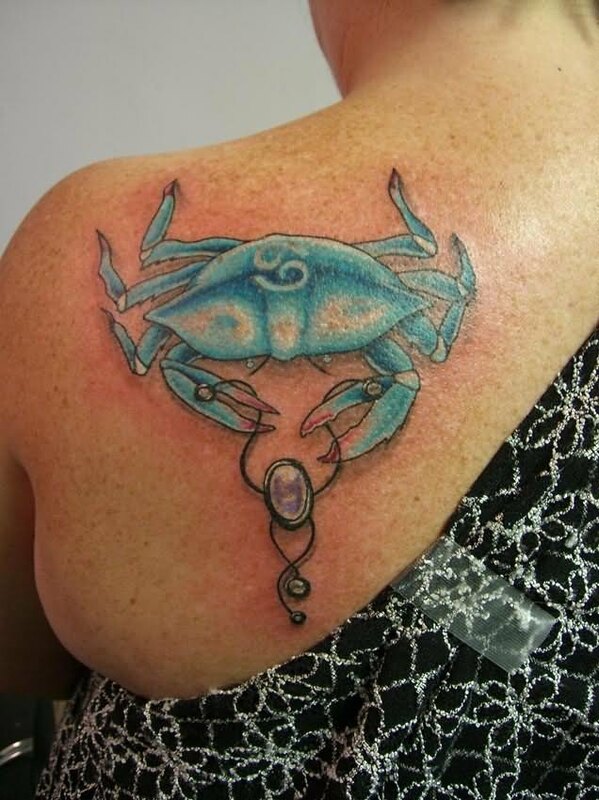 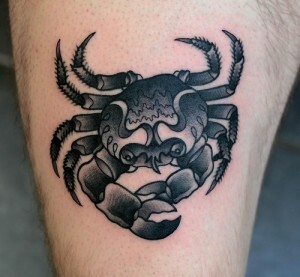 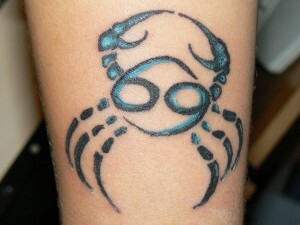 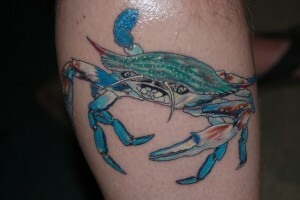 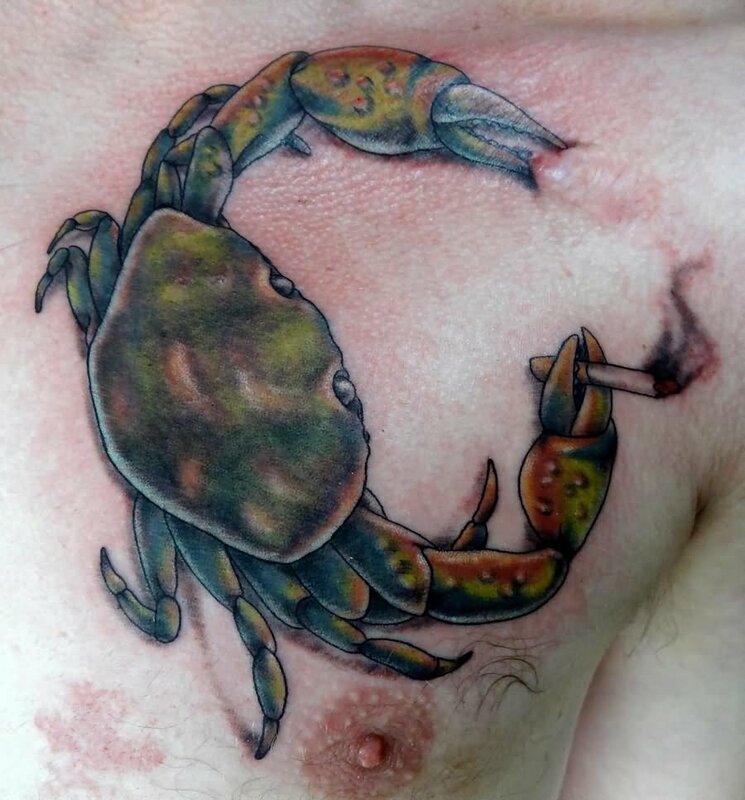 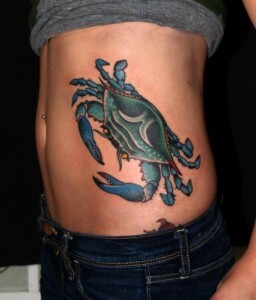 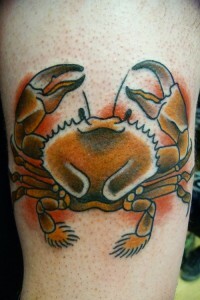 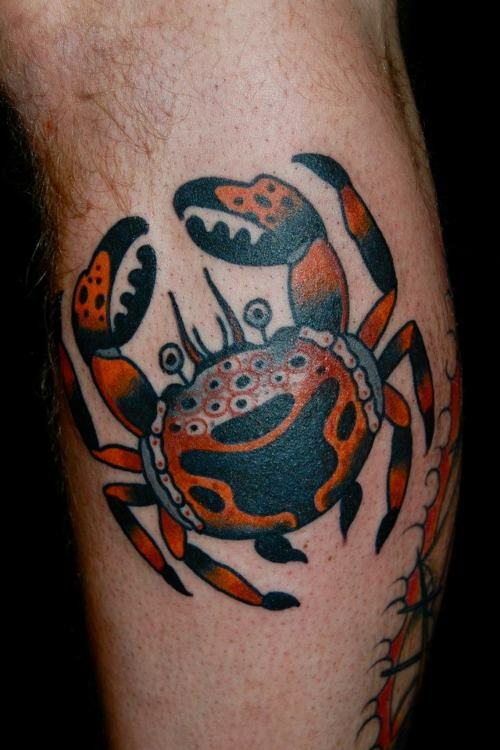 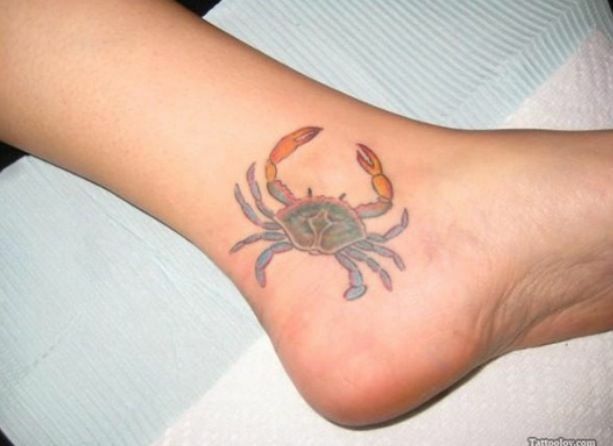 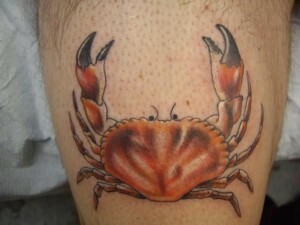 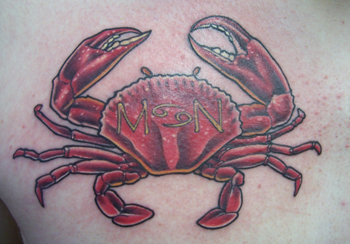 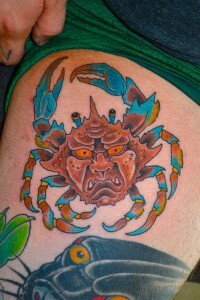 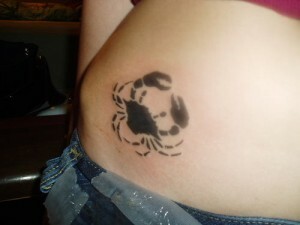 Monochromic, as well as colored ones, the crab tattoo is a great eyecatcher.